I understand that I can execute my script within a session using [0x401000]> . server.py and the pipe will be connected to it when I call r2pipe.open() with no arguments. Ideally I would like to spawn a simple tcp server in python which waits for specific commands from a client. The client is invoked from a live r2 session like [0x401000]> . client.py --command doAnalysis. 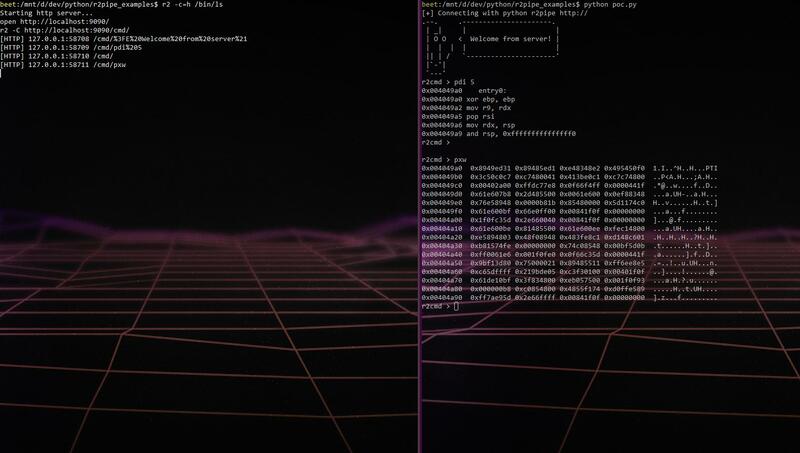 The command is passed to the server which opens a pipe to my r2 session, performs the analysis, then maybe updates my session (really to just be able to run commands from the server which was not opened from my r2 session). The reason I require the server to always be running is because it will be collecting data and I don't want to be re-collecting that data every time I need to do some analysis. I can't invoke the server from my r2 session because the session will be blocked by the server. It would be great if the server could open an r2pipe directly to my r2 session but I don't know how to do that or if is even possible. I tried using pickle to send the r2 instance over a socket but it couldn't pickle it. Any thoughts? I'm not sure I fully understood you, but I'll give it a try anyway. radare2 comes with its own webserver. Although at first, it might seems like an overkill, its actually quite useful, especially when you want to debug embedded systems, or simply to execute commands from a remote terminal. 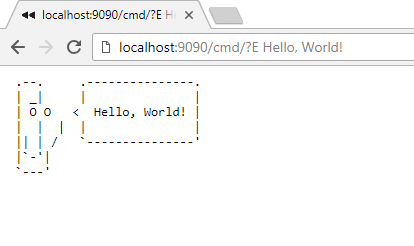 Simply launch the web server with =h <port> and connect to it with any HTTP client. Good, now that we have an HTTP server running with an open session, let's connect to it. Although it's cool, it isn't helping you -- you asked for a solution using r2pipe. Well... there is! As you probably know, using python, you can just do import r2pipe and r2pipe.open("/bin/ls") to open a radare2 session with "/bin/ls". Did you know that you can connect with r2pipe to a remote web server? Yup. command = "?E Welcome from server!" Save the script to poc.py on you drive. 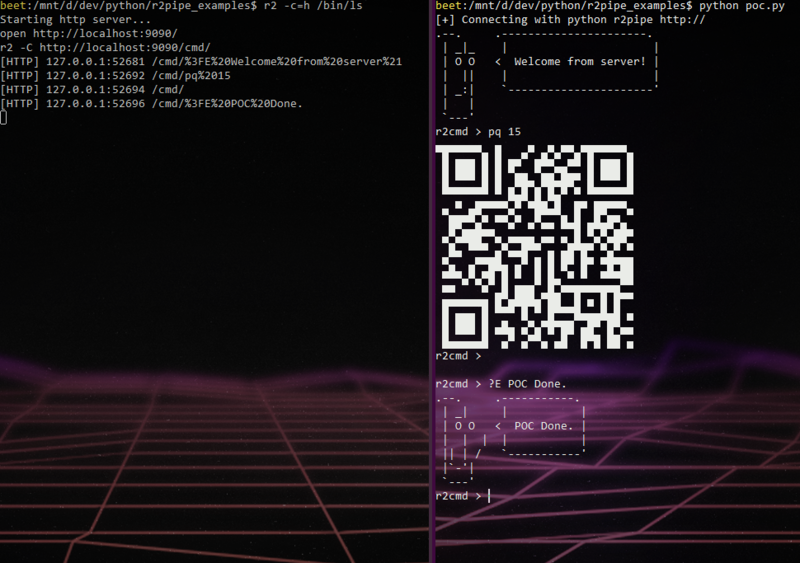 Yes, radare2 can also print QR codes. Not the answer you're looking for? Browse other questions tagged debugging radare2 python or ask your own question. How should I approach debugging a PE which create a large database?